Bayern Munich and Germany goalkeeper Manuel Neuer has received some good news as he recovers from a hairline fracture in his foot by being named on the final shortlist for The Best FIFA Goalkeeper 2017. The 31-year-old is not expected to return to action until January, but he may have to be on his feet a little quicker to pick up an award in London on 23 October after being named as one of the three candidates for the prestigious prize. The three-time UEFA Goalkeeper of the Year and four-time IFFHS (International Federation of Football History & Statistics) Best Goalkeeper of the Year, who was also in the running for the Ballon d'Or alongside Lionel Messi and Cristiano Ronaldo in 2014, is up against Juventus veteran Gianluigi Buffon and Real Madrid's Costa Rican custodian Keylor Navas. 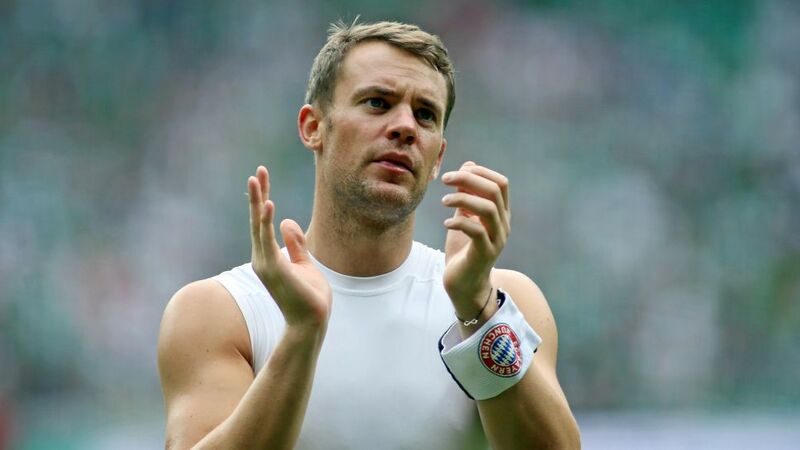 Click here for five reasons why Manuel Neuer is the best goalkeeper EVER! The winner of the inaugural The Best FIFA Goalkeeper will be announced at a gala evening in London on 23 October.